Our 31' Tiara Pursuit "Bruise Time" is one of the nicest and cleanest charter boats in the state. She offers a 12' beam, seating for six passengers, stand up head, new Garmin electronics and radar, new Cannon tournament downriggers and top-of-the-line Shimano rods and reels. 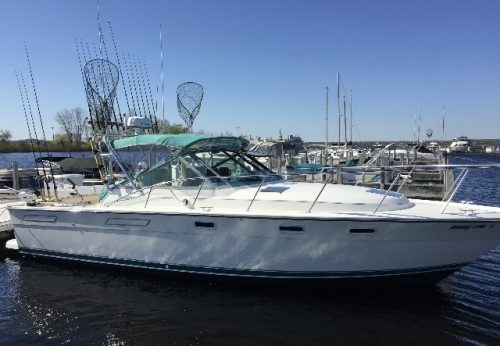 Captain Chris has 32 years of boating experience on the Great Lakes and connecting waters. The Bruise Time is DNR inspected and commercially insured for chartering.